It's no secret that I have a weakness for highlighters, and I'm not talking about the markers that you use to highlight text. I'm talking about that glow that we all find on Instagram every single day when those cheekbones could cut butter. I'm not one for contouring, I've never dabbled in it aside from very lightly applying a matte greyish bronzer to the hollows of my cheeks, but give me a highlighter, any highlighter, and you'll find me adding it to the tops of my cheeks, my cupid's bow and underneath my eyebrows. I tend to avoid applying it on my nose and chin because these areas get pretty dewy. Several months ago, in May, I showed you guys my highlighter collection, and since then that particular section of my makeup kit has doubled in size. I have a problem, I admit that wholeheartedly, but I just cannot stop hoarding them like there's no tomorrow. In fact, I've got a few new ones on my wishlist! At this rate, I'll need to make a separate section in my makeup drawer just for my growing pile of highlighters. Okay, that doesn't look too bad, I mean, it's just five highlighters - the palette counts as one, right?! 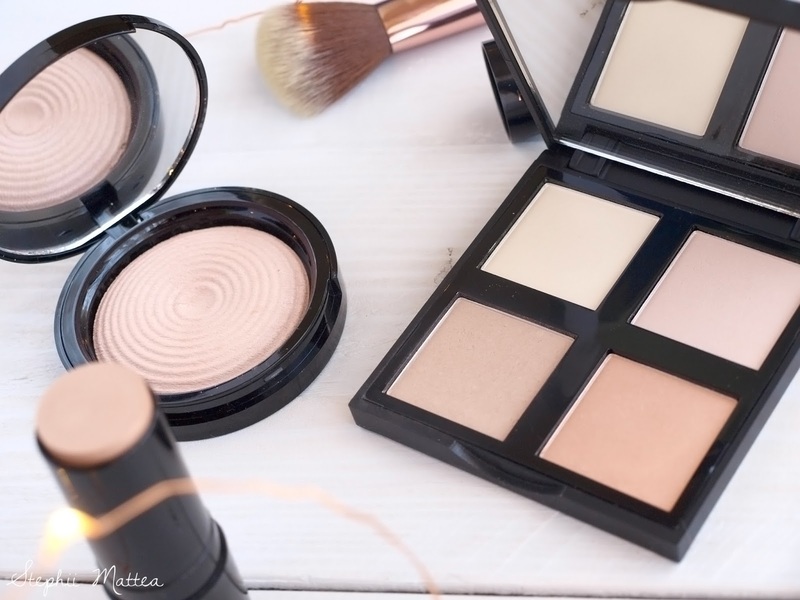 I don't think it comes across as a surprise that I've picked up three Makeup Revolution highlighters, and I promise you, it won't stop there, as I have my eyes on a couple more of their highlighting products. The other two are from e.l.f. Cosmetics. I added the Radiant Light Highlighter in Breathe to my TAM Beauty order, as I heard that it was a dupe for Hourglass' Ambient Lighting Powder in Dim Light, and the reviews said it was amazing for an overall glow-from-within look, which was what I liked about the Dim Light shade when I tested it out at Mecca. I also added The One Highlight Stick as I didn't have a highlighter that was in a stick form, and I figured it would be useful to have on hand for when I don't want to fuss with my makeup and wanted something quick and easy to apply. I wanted to test these two baked highlighters side by side as they were the only baked ones that I had. The e.l.f. one was the first one that I had picked up and I wasn't too impressed with it because the brush barely picked it up, and I had to vigorously rub my finger against the product just to get some decent payoff. Vlogger Irischel505 echoes exactly what I thought about the highlighter in her 'Full Face Only Using E.l.f' video, saying, "Hi, are you there? Hello? Are you there?" When you apply the e.l.f. 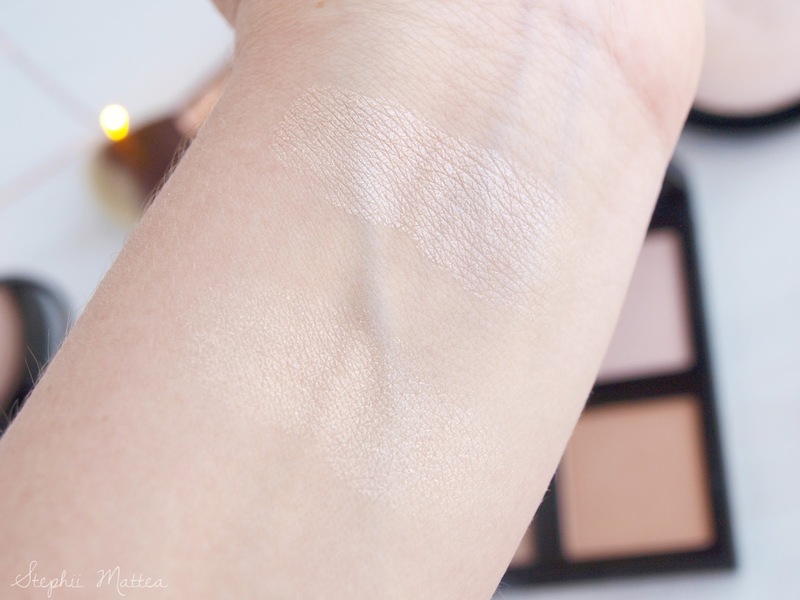 highlighter to the skin, it's a tiny bit grainy, not buttery smooth, and the payoff is weak, barely visible. It is more peachy in tone than the MUR highlighter which leans towards ivory pink. 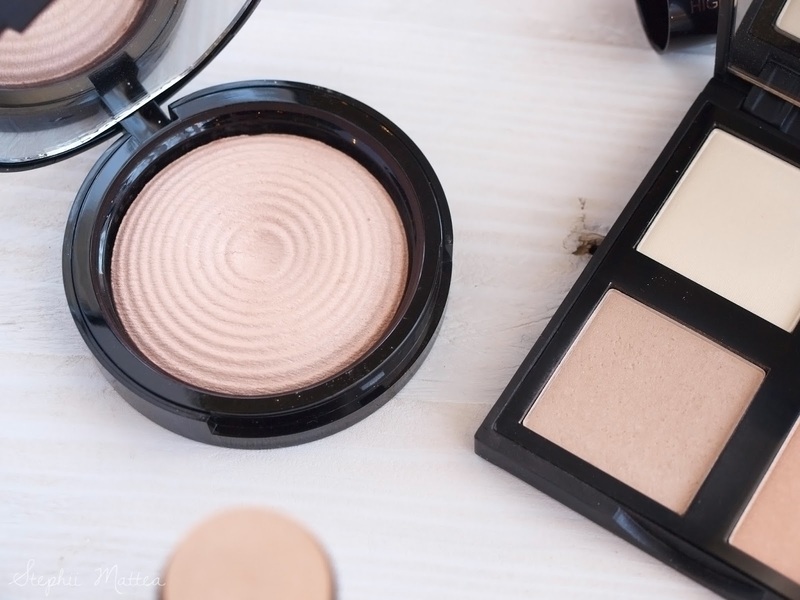 The MUR Vivid Baked highlighter, on the other hand, is incredibly soft and smooth and a simple, light swipe from the pan results in such consistent payoff. It is quite pigmented and creamy when I apply it to the skin that a little bit really goes a long way with this one. The e.l.f. one pales in comparison to this one. It has a bit of a shimmer, but it's not so noticeable when applied with a brush. The One Highlight Stick, as I said earlier, was something I wanted to try as I wanted something quick and easy to work with when in a rush. I haven't had the chance to wear this yet, as I only got it two days ago. 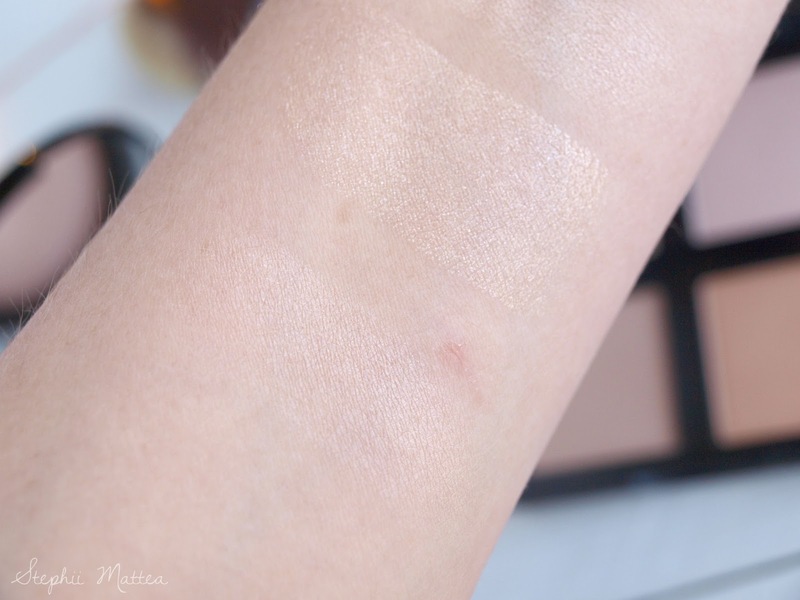 From the swatches I've tried, it looks really pigmented and is super easy to blend. It's quite sparkly, however, though a subtle layer isn't as glittery, but looks almost natural. 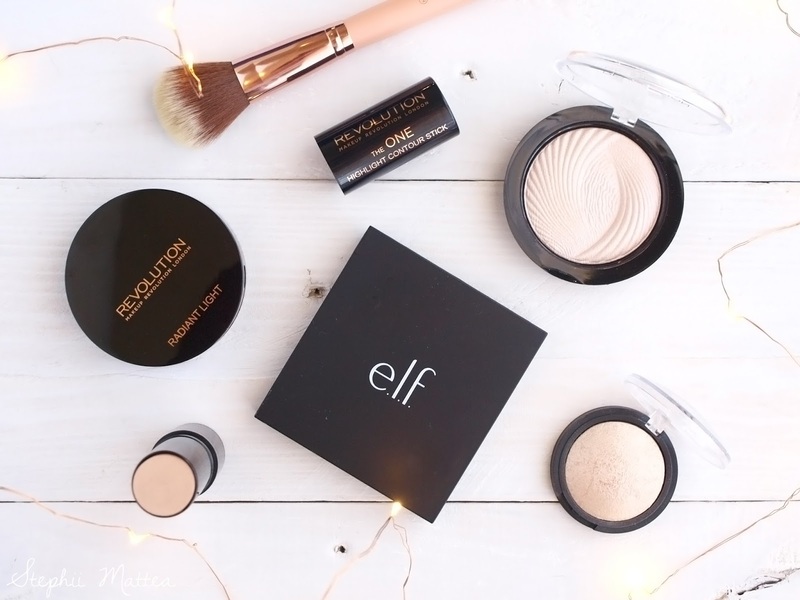 The Radiant Lights highlighter is definitely one of the best that I've tried, from what I've seen, in that it looks more like satin than shimmer, and the neutral shade of it means that it can definitely be worn all over the face. 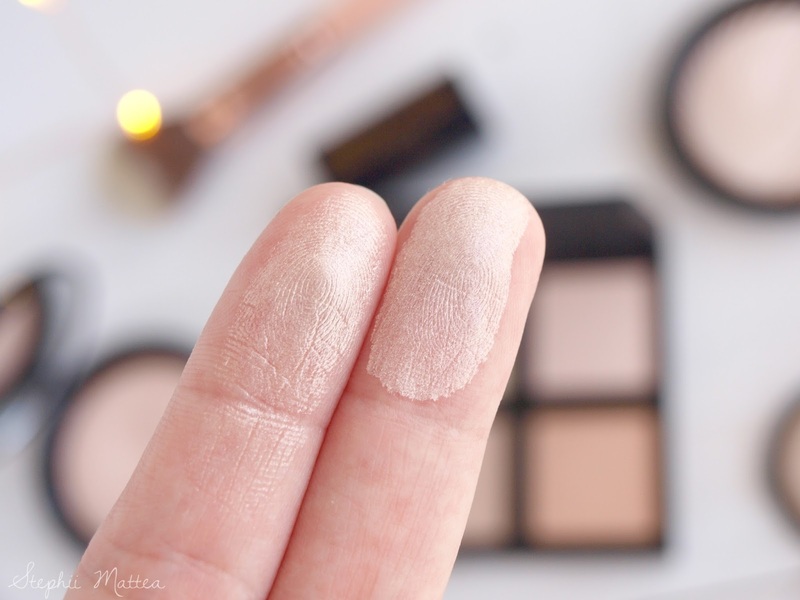 I didn't do swatches for the e.l.f Cosmetics Illuminating Palette because I've already done swatches and a review on them. If you'd like to read my thoughts on them, here's the link. The pan in the top right corner is practically the exact same shade as the Radiant Lights highlighter, only that it is more matte and doesn't quite look as glowy. Far be it for me to be interested in more highlighters, but do you guys have any holy grail, cruelty-free, highlighters that you highly recommend? Comment away!